When my family and I were eating lunch on the weekend that I moved in for my freshman year at Boston University my mom decided to impart some wisdom to her eldest son. “Don’t do Molly.” No less than a nanosecond after she made this incredibly innocent and hilarious request of me did I fall over laughing into the bench I was sitting upon. To know my mother had a knowledge of Molly made our relationship closer than ever. I have never, and will never, tried Molly. But being asked not to made genuine tears roll down my face. I’m assuming you are now wondering why an article headlined by a photo of Denver Broncos slot receiver Wes Welker began with a story about ecstasy. Do I have a story for you. Earlier this evening I was sitting in class when a text came in from ESPN. Due to my overwhelming love of professional football I get ever news tidbit texted to me. This tidbit was the news that Welker would be suspended four games for amphetamines. My original thought barely existed. Welker has a long history with concussions – the most recent of which came a few days ago – so I assumed the amphetamines were, somehow, tied to this fact. I could not have been more wrong. 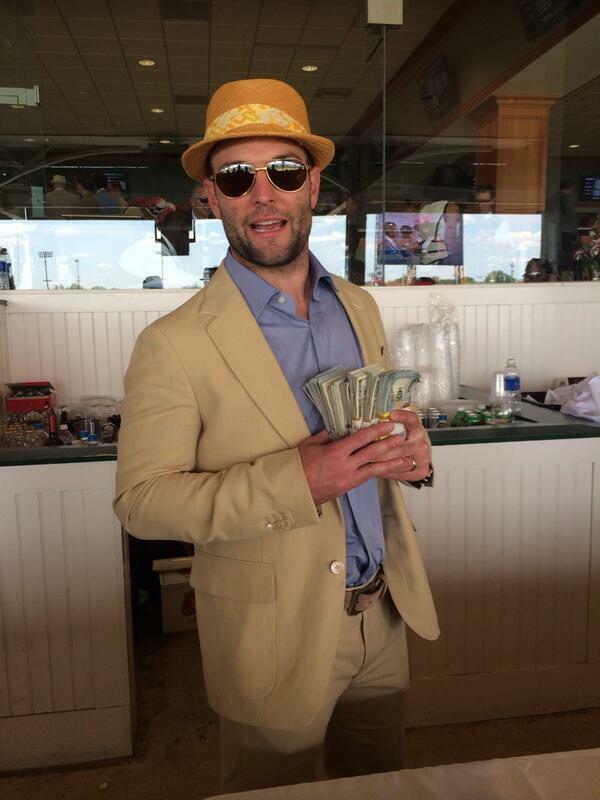 I remember seeing Wes Welker pictures on my Twitter the day that the Kentucky Derby was run. Welker played dress up and came prepared for the afternoon. I saw photos and read stories that Welker had randomly started handing out $100 bills to attendees of the event. It sounded odd, but then again Wes Welker is worth more than I (probably) ever will be, so the possibility he was simply sharing the wealth was more than possible. After the class today I came home to read more about Welker’s suspension. I came across the following tip from ProFootballTalk. 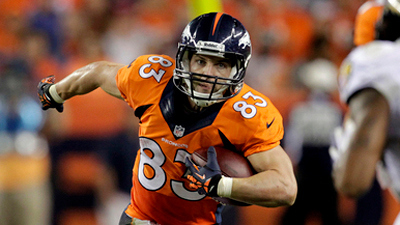 A second or so later Wes Welker jumped into the pantheon of my favorite professional athletes ever. He was high on Molly and making it rain on patrons of America’s premier horse race. There are a lot, and I mean a lot, of crazy things in this world – especially in the NFL. But this here is as far out of left field as you could expect. That’s because it couldn’t be expected. Especially from Welker. Thanks to craziness like this I am not sure I have ever been more excited for an NFL season than this one. Only two more days.